Olive oil is a staple in my kitchen. I use it so often I thought coming up with a recipe for Sciabica would be a piece of cake. Olive oil cake… then my fellow 37 Cooks starting posting their recipes and I realized there’s going to be a few olive oil cakes. Maybe I should do something else. Ice cream goes with cake…but my ice cream maker is still sitting on the shelf at Costco. I hemmed and hawed and cooked every day and used olive oil every day. (Oops, I lied. We went out one night and the menu inspired another recipe. More on that later.) But nothing seemed worthy of a recipe post. I mean, if you use it every day, it isn’t special enough. WRONG! I realized that’s exactly what makes olive oil so wonderful. Its versatility is exactly the reason it’s special. So, I decided I would just write about the very next thing I made. Arugula was looking fabulous at my grocery store. Not the baby arugula in the clear plastic box, but a big bunch of mature arugula with dirt clinging to the fleshy stems. The spicy fragrance hit me as soon as I touched it. I knew it would be a salad dressed with nothing but olive oil, salt & pepper, and ribbons of parmesan cheese. 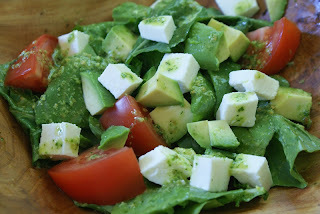 It is the simplest of salads and one of those “greater than the sum of its parts” dealios. Once I arrived home and washed the arugula, I realized the stems were pretty long. I trimmed off the bottom half of the arugula bunch and set aside the leafy tops for the salad. Lots of juicy, fleshy stems with some leafy bits were leftover…can’t waste all that inherent flavor, but texture won’t be ideal in a salad. My go to solution is pesto. 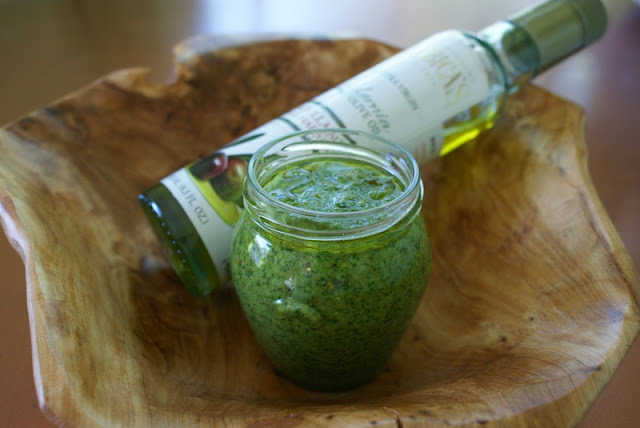 Arugula pesto. I always have some kind of nuts or seeds in the freezer and I use whatever sounds good. Pecans, walnuts, sunflower seeds, almonds, whatever. That day, I found hazelnuts, almonds, pumpkin seeds, and pistachios. Awesome! I ate a handful of frozen pumpkin seeds. Then I ate a few frozen pistachios. Pistachios won. The quantities given are a loose guide. 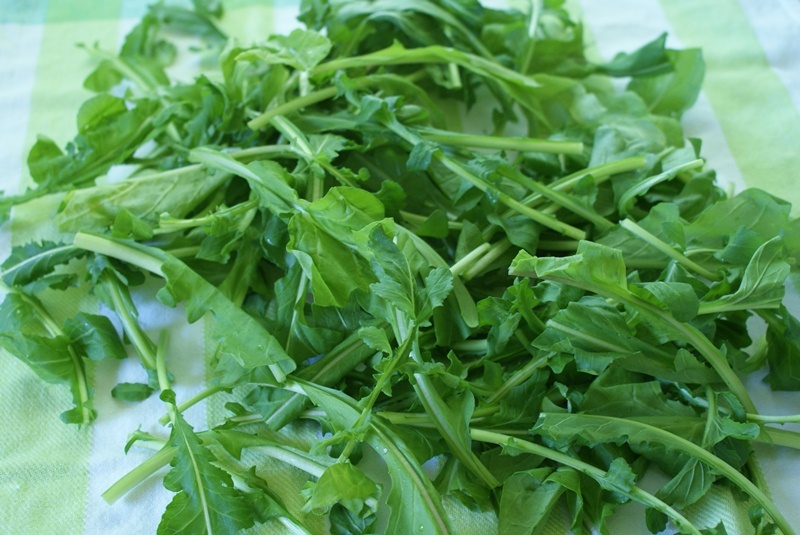 You try stuffing a bunch of arugula stems into a measuring cup and see how that goes. 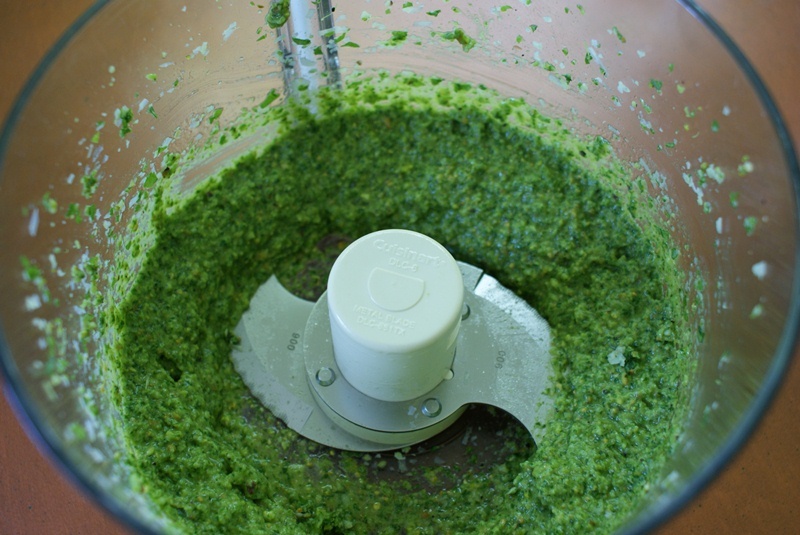 I think pesto, like most food, should be made the way you like it. Place all the ingredients except olive oil into a food processor. Pesto is a great base for salad dressings, marinades, dips, on sandwiches, or tossed with pasta. 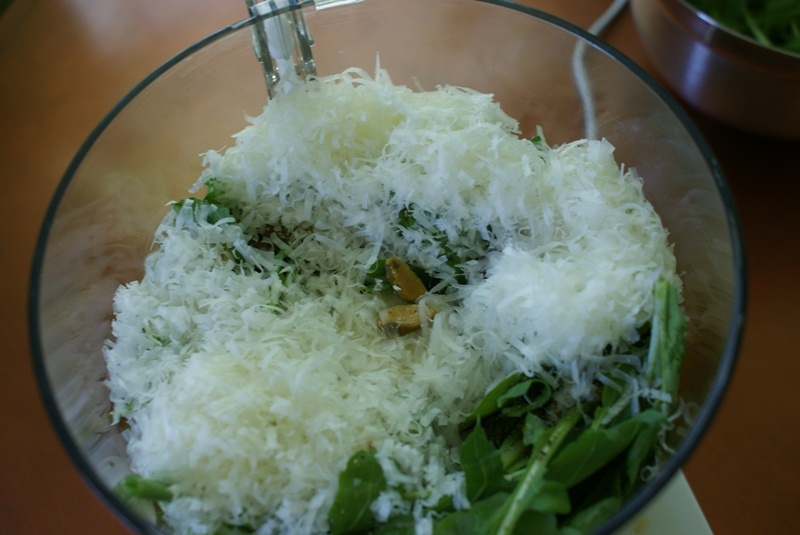 So about that arugula salad…you know, the one I dressed with olive oil, then sprinkled with salt and pepper and shaved Parmesan. Well, I ate it and didn't take a picture. And honestly, that’s all there is to it. That is the recipe in its entirety. So here’s a different salad. My husband and I went out to eat. There was a shaved asparagus salad on the menu. Now, I love this presentation, but have only seen it offered a few times so, of course I order it. The asparagus was not shaved. It was sliced. Whatever. It still tasted good, but it wasn't what I was expecting. What I was expecting was something more like this. 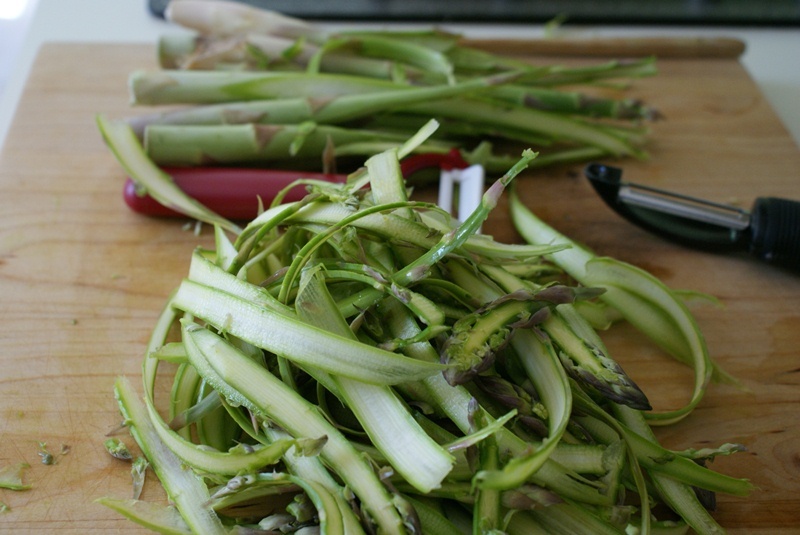 Use a vegetable peeler to shave ribbons of asparagus. Rest the asparagus on a flat surface, hold by the woody base and peel all the way to the tip. Repeat. Repeat. Repeat. Repeat until all the asparagus is shaved into ribbons. If you are OCD at all, this is going to drive you insane. Pieces will break, some ribbons are going to be beautiful and others will be uneven. A beautiful curl of asparagus will fall from the peeler and onto the floor. And your closet vegetarian Labrador Retriever will dash in, gobble it up, and lick his chops. In a bowl large enough to hold all the asparagus, make the salad dressing. This is a super simple dressing. This is supposed to be simple because it was such a pain to shave that asparagus. Combine the lemon juice, zest, Sciabica’s Sevillano Fall Harvest Extra Virgin olive oil, and salt. Toss the strands of asparagus in the dressing. Serve immediately or allow to soak in the dressing for a few minutes. Add the pistachios and toss. 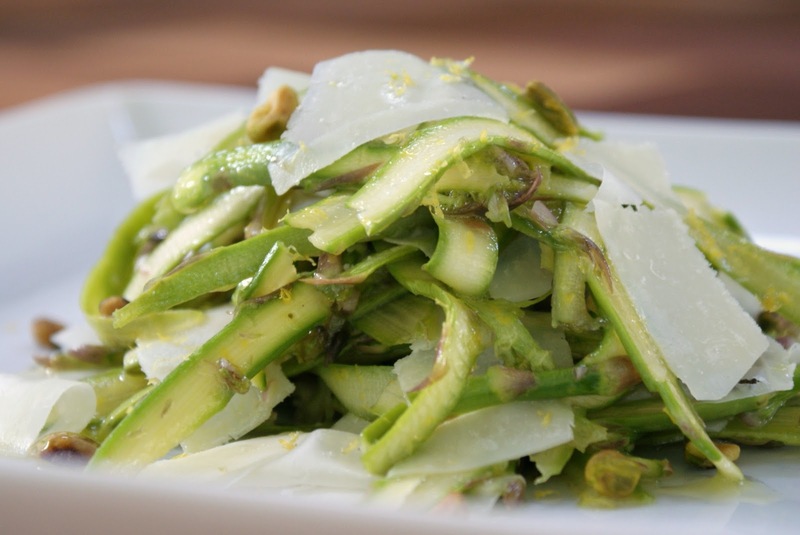 Mound the dressed asparagus onto a plate, shave the Parmesan over the salad. Freshly cracked black pepper is optional. 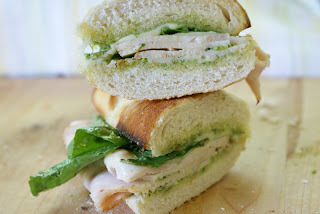 ALTERNATIVE: Thinly slice fresh asparagus on the bias instead of shaving. Or grilled, chilled asparagus, thinly sliced or left whole would work, too. Note: I had a lot of asparagus stalk remnants that did not go to waste. Pesto. hahaha Just kidding, I'm making an asparagus soup.